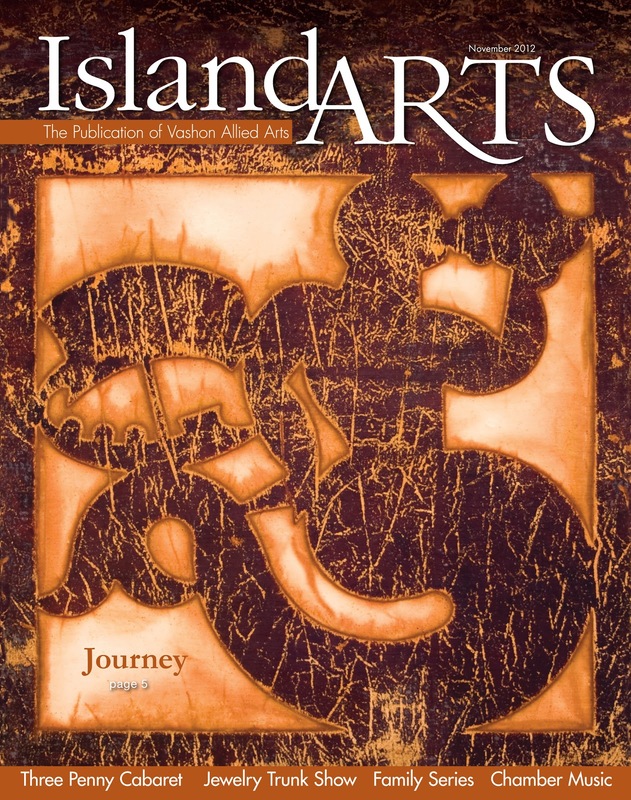 Vashon Allied Arts’s monthly publication Island Arts selected my Rust Print, Triton, for the November cover and to represent our Journey exhibit currently at the Blue Heron Gallery! Triton, herald and son of Poseidon calmed storms and frightened the immortals when he blew upon the conch shell that was his symbol. When the Argonauts found themselves lost in the deserts of Libya, blown inland by storm, Triton in the guise of an ordinary but incredibly strong man carried their ship Argo to the shores of Lake Tritonis. Recognizing that the miraculous had taken place a sheep was offered as sacrificed by the Argonauts and Triton who had disappeared into the waters of the lake reappeared in his true form to accept their sacrifice and point them their way.